OneMain remains a well-established and safe lender for those with poorer credit histories, despite relatively high-interest rates. 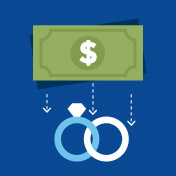 Sometimes making ends meet financially is tough, especially when unexpected expenses pop up. For many people, emergency funds are limited (or even non-existent), so a personal loan is the best option to take care of things. OneMain Financial is a personal and auto installment lender that specializes is small-to-mid sized loans ($1,500 to $25,000). They have provided loans to more than 10 million customers equaling over $120 billion. 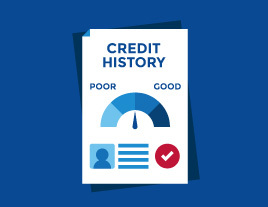 OneMain Financial prides itself on taking a personal approach to lending — using variables other than credit scores, like income and debt, to determine loan amounts and rates — so those with poor credit scores can still be eligible for loans. In fact, it was one of the first and only lenders without a minimum credit score for years so it was used most often for debt consolidation and emergency funds. OneMain’s interest rates and fees have remained higher than other lenders on the market today, and applicants would like more transparency about eligibility BEFORE their credit score is dinged, but it remains a well-established and safe lender for those with poorer credit histories. With more subprime personal lenders on the market, if you credit is good or becomes good while you have a OneMain loan, it is worth shopping around for lenders with lower interest rates.For over 100 years, we’ve been helping hard-working people tackle life’s challenges by providing the help you need when you need it. Our loan experts are from your community, understand your unique situation, and will treat you with honesty, dignity, and respect. Our goal is to deliver the best customer experience and empower you to take control of your finances. 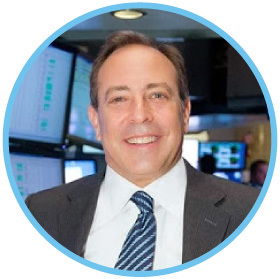 The history of OneMain Financial is filled with many mergers and acquisitions along the way. Commercial Credit and Interstate Finance Corporation. OneMain Financial — known then as Commercial Credit — was founded in 1912 in Baltimore, Maryland. In its original manifestation, the bank provided working capital to manufacturers and building contractors. In 1916, Commercial Credit began to offer commercial installment car loans, followed by loans for home appliances and other household products. Then in 1934, in response to the National Housing Act, they expanded their services to offer home improvement loans. In 1968, Commercial Credit is acquired by Control Data Corporation (CDC). In 1987, CDC sells Commercial Credit to Travelers Group. Travelers had already acquired Primerica (the parent company of Smith Barney). These companies participated in cross-selling their financial services. The other company in this story is Interstate Finance Corporation which was founded in 1920 in Evansville, Indiana. Interstate was an underwriter for sales of Inland Motor Truck vehicles, and while Commercial Credit was developing, they were also expanding branches throughout the U.S.
under the operating names of CrediThrift of America and CreditWay of America. In 1982, CrediThrift is acquired by American General Corporation, who is then acquired by American International Group (AIG) and is renamed American General Finance Inc.
(AGF). In 2010, AGF is acquired by Fortress Investment Group and is renamed Springleaf Financial Services. In a $140 billion merger, Travelers Group merges with Citicorp creating the largest financial services company in the world. Commercial Credit becomes OneMain Financial and finally, in 2015, Springleaf acquired OneMain Financial. There are 2,000 local OneMail branches in 44 states. See all branches by state here. OneMain provides personal installment loans up to $25,000. Their loans have both fixed rates and scheduled payments for up to a five year duration without penalty if you pay the loan off early. OneMain Financial provides an quick and easy online application for a personal loan. The have local branches in 44 states and the one nearest you will contact you after you have submitted your application to set up a meeting to review your eligibility. The funds can be released as quickly as the same day if you apply before noon and have included all the required documents. 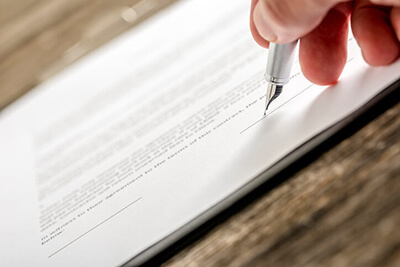 Unsecured loans are approved based entirely on the borrower’s credit history, income, etc., and are also called “personal” or “signature” loans. 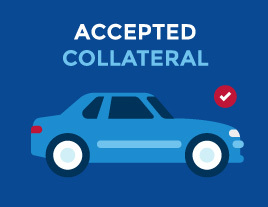 OneMain also uses vehicles as collateral to secure loans. Each vehicle must be appraised for its value and must be insured for the duration of the loan period. NOTE: Active duty military, their spouse or dependents covered by the Military Lending Act may not pledge any vehicle as collateral. 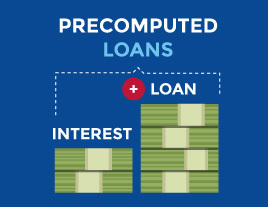 In a precomputed loan, the interest is included in the balance and is calculated at the time the loan is made (as opposed to when the payments are made). These loans include principal amount, the precomputed interest and prepaid finance charges (origination fee or administrative fee). All payments on a precomputed loan pay off the entire balance, and earned interest is based on how quickly the loan is repaid. If the loan is paid off earlier than agreed, the unearned interest is refunded to the any balance owing and unpaid fees or charges. 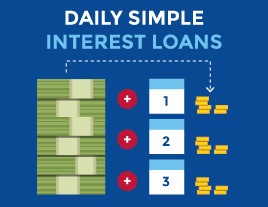 In a daily simple interest loan, the interest accrues everyday until the loan is repaid. To keep interest rates down, the borrower must consistently pay the standard monthly payment before or on the due date. Unemployment Insurance: Covers minimum payments should you lose your job. Disability Insurance: Covers minimum payments should you become disabled. Life Insurance: Covers the loan should the borrower die. Debt Consolidation Loans: Borrow money to pay off multiple debts. Cash-Out Refinance: If your car is worth more than you owe on an existing car loan, you can borrow to pay it off and have extra cash to spend on something else. 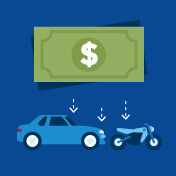 Auto Refinance Loans: Borrow money to pay off your existing car loan for one with a lower APR or less monthly payments. Auto Repair Loans: Transmission repair, general maintenance, auto body repair, engine replacement, other major repairs. Furniture Loans: Living room, bedroom, patio furniture. 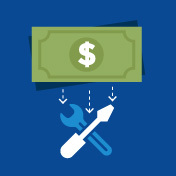 Home Improvement Loans: Supplies and labor costs for a home improvement project. 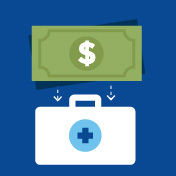 Medical Loans: Emergency medical procedures, planned medical procedures ad medical devices. Funeral Loans: Burial plots and caskets, funeral costs, burials or cremations. Wedding Loans: Flowers & decorations, wedding dress, tuxedo rental, venue rental, entertainment, honeymoon. Vacation Loans: Cruises, resorts, theme parks, vacation rentals, plane tickets, weekend getaways, honeymoon or holiday travel. Loan Amounts: $1,500 minimum to $25,000 maximum. 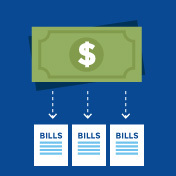 NOTE: All OneMain Financial’s Fees, Charges & Penalties vary by state. Loan eligibility is based on the applicant’s ability to repay the loan, as well as current bills and living expenses. OneMain Financial has a relatively easy online three-step application process. Complete the online application with all loan, personal, employment, and financial information, and OneMain Financial will respond with a quick decision on the loan request and an email with additional information. 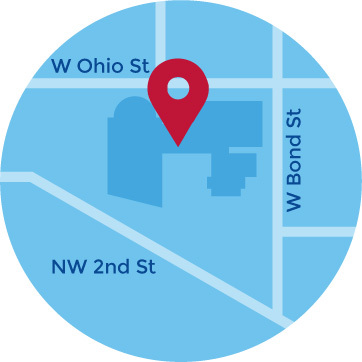 If approved, a OneMain loan specialist makes contact to schedule an appointment at the local branch to discuss your loan options, as well as verify your identification and financial information. At the meeting, the loan term are reviewed and if accepted, the contract is signed and the funds are released. OneMain’s online application process is quite simple and expedient. Funds can be released by check or by direct deposit. OneMain offers an online system where customers can view all their loan statements, make payments and update contact information. Within the system, customers can also enroll for Direct Pay and OneMain Rewards Programs. This service lets customers make automatic monthly payments from their bank accounts. This service can be stopped at any time with written notice to the customer’s service branch. Customers can earn points by visiting the website or interacting with OneMain through social media. The points can be redeemed for retail gift cards or discounts on utilities, vacations and other items. Customers can also opt to receive a monthly email alerting them that their statement is ready to view in the Online Account Management system instead of receiving it by mail. My experience with OneMain was a great one, the loan officer called me to let me know the amount of the loan I could receive and why, proceeded to tell me all the paperwork I had to turn and to make the process fast, she suggested I fax in the paper work to make the transition much smoother and faster. She then set up a date and time to come in, which took about an hour at the most. From start to finish, I mean from the time I first submitted the loan, it took about two weeks to get everything done. Someone getting in touch with me took a while, about a week, so there was a delay in the response from OneMain, but once the process started, things were done quickly. I only bothered trying to get the loan to consolidate my credit cards because I was pre-approved. However after completing the application, I was denied. I wouldn't have let them ding my credit except for the fact that I thought I would be approved. I will not be fooled again nor will I recommend them to anyone I know. They were very friendly and understanding and very patient with me and helped me out so much with consolidating my financial needs with a reasonable monthly payment that was good for my circumstance. Regarding improving your credit score, OneMain is kind of like a double-edged sword. Since your credit is bad, if you need a loan, they are one of your only options. But once you take out a loan with them, you realize just how much the interest is. They report the entire interest and principle to the credit reporting agencies, which makes the amount look so much worse on your end. But when you do pay it off, your credit score does improve. I took out a loan about two years ago, and paid it off. A few months ago, I signed into my OneMain online account, and it said I had an outstanding balance. Turns out, there was a fee for the one time I was late on a payment. I never got any sort of correspondence to let me know. The fee kept accumulating. I contacted customer service, and they pretty much told me I should've checked my account (even though it was years old) and then I would've seen the charge. With over 1,800 branches in 44 states, customers can receive one-on-one help with a customer service representative, as well as by phone and email. Customer reviews of OneMain’s service is mixed with varying positive and negative experiences. 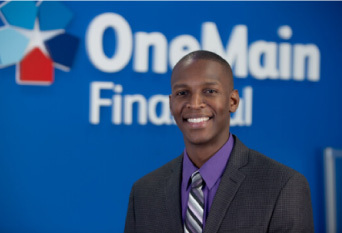 OneMain Financial is well-established and has been in operation for over 100 years. Its parent company, Springleaf Financial Services, is owned by Fortress Investment Group. Is it easy to get a loan from OneMain? Getting approved on a loan from OneMain can be easier than other lenders because they require no minimum credit score, however, if you have poor credit or no credit, you can expect to pay a higher interest rate. The company is well established and has a solid reputation as a lender. 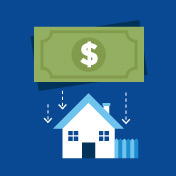 What can I use my loan towards (eg: home equity, auto, mortgage)? You can use a OneMain loan towards almost anything except for business expenses or to pay for tuition. Also, if OneMain learns that you have applied to pay off gambling debt, you can expect to be turned down. Can I refinance my OneMain Financial loan? All personal loans can be refinanced. Shop around and see if you can find another lender with a better interest rate. Be sure to check fee costs as well. Will I get multiple calls/emails after signing up with OneMain Financial? OneMain will not call you multiple times to try and upsell you, but if your payments are in arrears and they are trying to collect, they probably will. The Fair Debt Collection Practices Act (FDCPA) has certain protections for borrowers against abusive, unfair or deceptive practices, however, if you are unable to repay your unsecured loan from OneMain, there are certain steps they will take to recover their loan. Check out the Fair Debt Collection Practices for your state to see what protections they offer to debtors. What is OneMain Financial’s BBB rating? OneMain is accredited by the BBB with an A+ rating, but customers only gave the company 3.79 out of 5 stars. Does OneMain Financial run my credit score? Or affect my credit score? When you apply for a loan, you can expect them to run your credit score which can negatively affect it if you end up not being approved for a loan. Can OneMain garnish my wage if I am unable to pay? The Fair Debt Collection Practices Act (FDCPA) has certain protections for borrowers against abusive, unfair or deceptive practices, however, if you are unable to repay your unsecured loan from OneMain, there are certain steps they will take to recover their loan. The practices can differ by state, but debtors usually have to sue you and have a court judgement before they can garnish your wages. Check out the Fair Debt Collection Practices for your state to see what protections they offer to debtors. What are the most common complains about OneMain Financial? The most common customer complaints about dealing with OneMain Financial are the high interest rates and fees, and the lack of transparency about loan minimum requirements. If you're looking for a loan, it's always best to shop around. Check out The 8 Best Places to Get a Personal Loan.